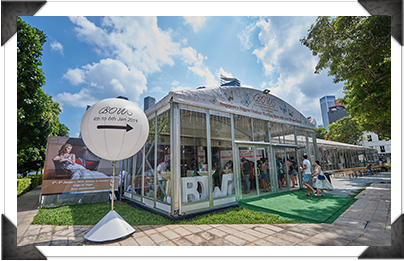 The Blissful Outdoor Wedding Show (BOWS) has certainly come a long way, ever since its inception in 2005. 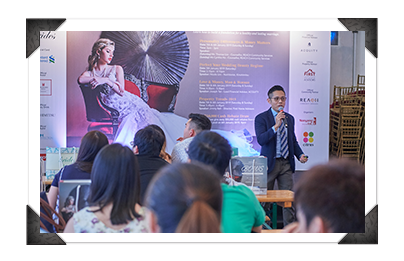 From a annual event, it has evolved into Singapore’s biggest outdoor wedding show and is now held thrice yearly at Tan Quee Lan Street. Expect highly entertaining performances by wedding musicians as you enter the main tent, which is beautifully decorated to suit a unique theme every BOWS. 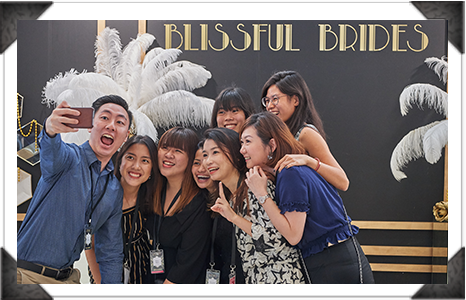 Additional photo opportunities are also available with a variety of wedding props from IM Perfection gracing its exteriors, ensuring your visit is a memorable, picture-worthy one. Whatever wedding you might be dreaming of with your belle or beau, be sure that you can find it here at BOWS. 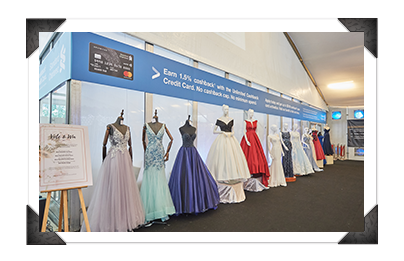 Prizes and fantastic deals are to be given away through contests such as the ‘Vote for Your Favourite Gown’ and ‘Vote for Your Favourite Booth’ which is held at every edition of the event. Begin your blissful start to matrimony at BOWS!